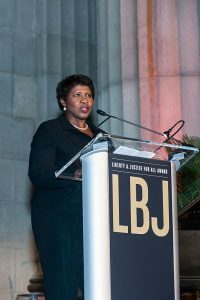 Gwen Ifill was at the top of her career when endometrial cancer struck and claimed her life at the age of 61. This is the approximate average age when endometrial cancer can afflict your health. Fortunately, it highly curable in most cases. There are more aggressive types of uterine cancer than can arise from the uterine lining (endometrium) or from the myometrium, which is the fleshy fibromuscular part of the uterus. We don’t know the exact type of endometrial cancer Gwen had, but it’s important to understand how to prevent and optimally treat this malignancy. A few days ago I posted an article on the Huffington Post, where I review what you can proactively do to prevent and, if diagnosed, beat this cancer. Endometrial cancer is the most common gynecologic cancer with approximately 60,000 new cases per year diagnosed in the United States. There are roughly 10,000 deaths per year and these are mostly due to the rarer more aggressive types of uterine cancer or from a late diagnosis. The average age at diagnosis is 60 but it can occur as early as 35 years of age. There is much more to the background on prevention, which is covered in more depth. I also go on to review modern treatments, which include integrative support…. I urge you to read the rest of this article HERE on the Huff Post. At the end there are 7 tips that may help save your life….